A band is thrown together for a single Wellington gig. Something clicks and all present – band and audience- agree that this should be more than just a one-off. At the end of the night a drunk stumbles up to the bandstand. “Sh’great! Youse guy are sh’ ‘ot. Shot Band!”. Having christened the group the stranger lurches off into the night. It would be almost two years before the trio –Bill Hickman, Rob Joass and Hamish Graham – consolidated their forces, Hamish’s departure to South America being the inspiration for the initial gig. But on his return to Wellington the band began performing regularly and building a loyal local following. City boys with country hearts, all three members are experienced performers and each brings a unique voice to the band. Each member plays several instruments, lead vocals are shared and the harmonies flow naturally as a river. Live, the Shot Band never fails to win audiences with their rich harmonies, diverse arrangements, great original songs and tinder-dry wit. Released in 2004, their debut EP Songs About Drinkin’ and Dyin’ mixed originals with eclectic covers and received solid airplay on National Radio as well as alt-country stations in the U.S. and London. An appearance at the Norfolk Island Country Music Festival followed, excursions to Sydney and, of course, gigging up and down New Zealand. Recently the Shot Band had an opportunity to re-examine the combined effects of alcohol and music, releasing their first full-length album and premiering Derek Thomson’s video for Drinkin’ and Dyin’ at Wellingtons Paramount theatre. The album, simply titled The Shot Band (Red Rocks Records:RRR008) is comprised entirely of original songs. 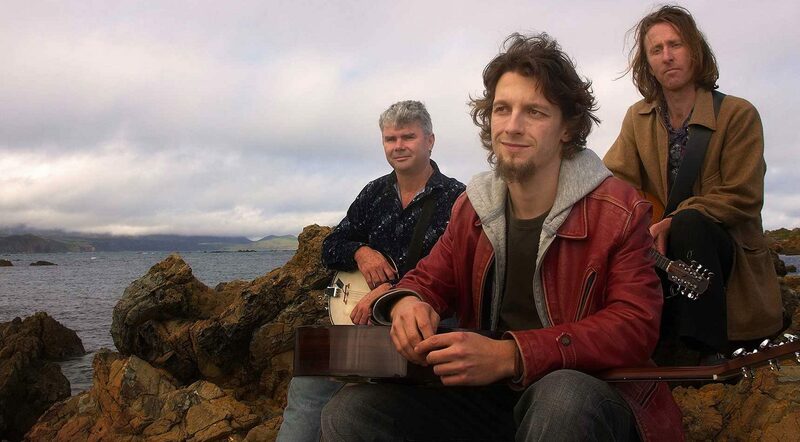 Self produced in several Wellington studios over three months in 2005, The Shot Band displays the group’s real breadth, both as writers and musicians. Songs About Drinkin’ and Dyin’ is available at www.smokecds.com. The Shot Band avaliable from Red Rocks Record (RRR008) via Global Routes distribution.